Transform an ordinary car seat into a cool, comfortable ride. 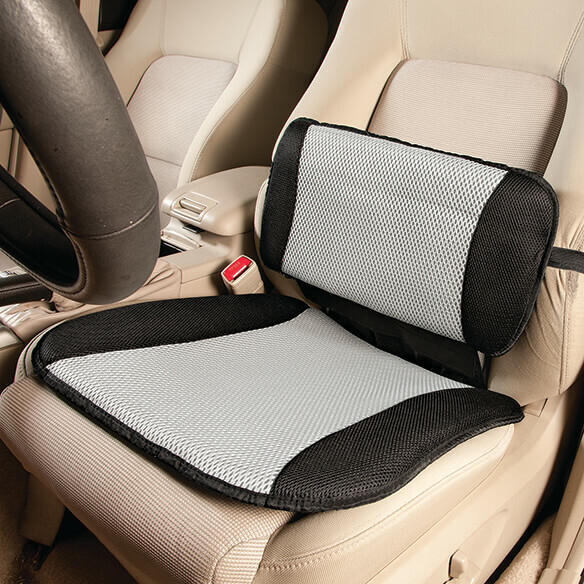 Auto cooling lumbar pillow & seat cushion combines a cushioned seat cover with a lumbar support pillow. 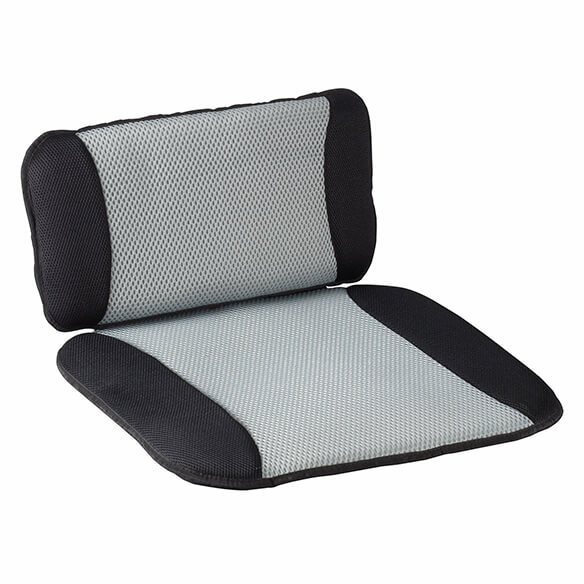 As the performance-fabric seat pad allows air to circulate, the lumbar cushion supports your back to encourage good posture and help relieve discomfort. Protects your car seat from stains and wear, too; simply toss in the wash to freshen. Gripper dots on bottom for a secure fit. Elastic strap with adjustable hook-and-loop closure for custom positioning. 18"W x 17"D seat cushion is 1" thick. 17"W x 9"H lumbar pillow is 2" thick.